The Gale Library in America – an American online library is FREE from the 10-24 April. I like that as it’s not every day you get something for nothing. So what can you see for FREE ? 1. Gale NewsVault — The definitive cross-searching experience for exploring Gale’s historical newspaper and periodical collections — with access to more than 10 million digitized pages. 2. Slavery and Anti-Slavery: A Transnational Archive — The largest, most ambitious collection devoted to the study of slavery. In its entirety, it will consist of more than 5 million cross-searchable pages. Part I: Debates over Slavery & Abolition available now. So what are you waiting for ? Get on the website and add ‘meat to the bones’ of those relatives on your family tree. This entry was posted in News on April 16, 2011 by carol. The other weekend I went to visit my daughter in Ealing. After a trouble free drive down I arrived in Ealing and met Kim. She had arranged for us to visit one of her friends who has just had a baby, she’s gorgeous by the way – the baby not the friend and whats even better, only a short walk away, but we did divert to Pitshanger. Pitshanger although minutes from Hanger Lane has a village/small town feel about it. One of the best things is a charity shop and Kim seemed to gravitate towards it, which is good as she has a special fundraising programme for this year. Inside was the most fantastic 196o’s style coat, bright yellow and black with circle pockets and very reasonable – an early Easter pressie and looks wonderful on. Anyway, after a visit to the new mum, dad and little one we walked into Ealing, Kim gathered her bags and off we set for Basingstoke. The motorway should have been reasonably quiet by that time but no, there had been a few accidents and there were miles of ‘rubber neckers’. We arrived, parked the car outside Kim’s boyfriends house and did none other than went to the pub – drink and food in that order. 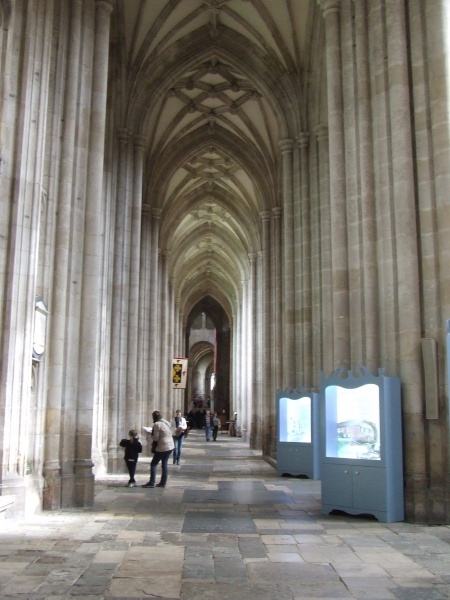 Saturday we had a wonderful walk around Winchester, had lunch in Raymond Blanc’s on the Broadway, Winchester and then spent a wonderful time in the Cathedral. Now that was eventful! There must have been a concert on very soon as there was a full orchestra and choir having a rehersal and the sound found every corner of that magnificent building. And the sun shone through all of the glorious windows making wonderful shadows across the stone floors. Well, I take it you know me by now and you have guessed there were war memorials galore – even Kim and Mark found some wonderful things to immortalise on a ‘chip’. I think the cherry on the cake was a war memorial to one of my distant relatives – Guy Victor Baring, closely followed by a memorial to a young man who attended Eton College. It was transcribing Eton College that started my collection of memorials and look where that has got me !! 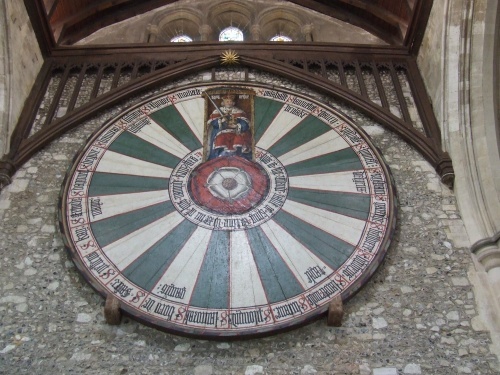 On the way back to the car we stopped of at Winchester Great Hall to see The Round Table. Back in Basingstoke, Mark cooked a meal for us and then we settled down to wine and Scrabble – I won ! Sunday morning we packed up and set off for Odiham – Mark’s parents house, where he cooked Sunday lunch and Kim made vanilla custard tartlets. Before our meal I was given a wonderful tour of the village including the village war memorial, the church and the pest house. The church has a wonderful modern window with an RAF theme. The fact is the window is no more than an illuminated box, but for a modern ‘window’ is wonderful in its simplicity. Thank you Margaret for the tour and hospitality. My wonderful weekend was over and it was time to head back ‘up North’ and start transcribing the new additions to my collection. STOP PRESS – Odiham War Memorial full transcription with additional information is coming soon. 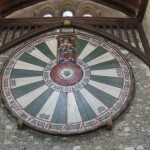 This entry was posted in General, News and tagged Cathedral, Great Hall, memorials, Odiham, photographs, Round Table, War Memorial, Winchester on April 12, 2011 by carol. A friend of mine is selling his signed copy Scatcherd’s History of Morley 2nd edition (1874) with monochrome plates. If there is no interest he will put on ebay this weekend. 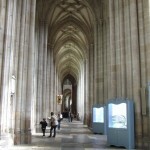 This entry was posted in General, News, Wakefield Family History Sharing Upates on April 11, 2011 by carol.